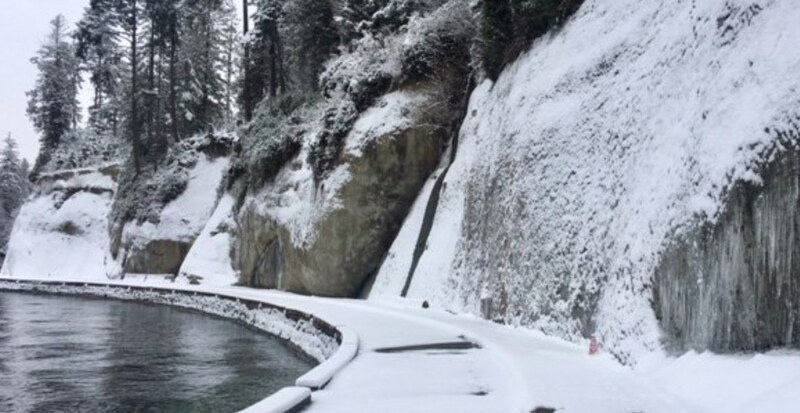 The seawall is the latest victim of the wintery weather today as the Vancouver Park Board announced a closure between Siwash Rock and Lions Gate Bridge due to risk of falling ice. The Park Board says it is monitoring the situation. Until then, those looking to take a walk or jog in the snow should avoid the area. Another 15 to 25 cm of snow is expected to hit the Metro Vancouver region today.